There are 17 species of bat living in the UK. 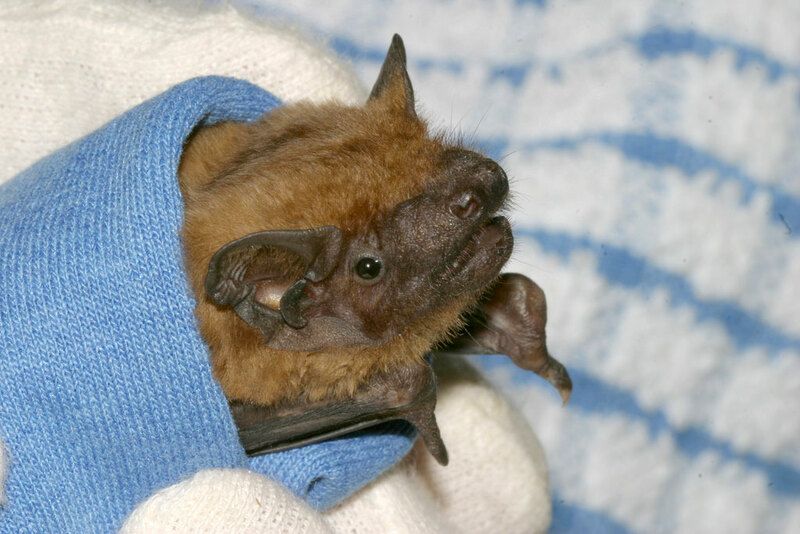 WRAS has dealt with a wide variety of bats, including the Noctule (shown here), pipistrelle, Nathusius’ pipistrelle, Brown long-eared bat, Grey long-eared bat, Daubenton’s, Whiskered, Serotine and a migrating Parti-Coloured Bat. If you find a bat please do not touch it with your bare hands, please wear gloves. If it is not in any immediate danger, like inside a room on a curtain etc then leave it alone and seek advice below or call WRAS for a rescue call-out. WRAS has been called out to numerous bat casualties during the late summer and into the autumn. Most of these have been juveniles which have started flying but with the on set of autumn strong winds they can struggle to keep control and stay with their parents. As a result some of them become lost. They are then unable to find food for themselves. Parent bats teach their young historic flight paths and show them where the insects can be found. If they are not found by their parents and once their stomachs are empty they will land and refuse to take off again. Unless found and rescued these bats will die of starvation. Every year several bats are found stuck to hanging sticky fly papers. These bats are attracted to the insects stuck to the paper and as a result become stuck themselves. They are not easy to remove from the paper and specialist help and advice should be sought as soon as possible from a registered bat worker. Do not attempt to remove or treat these bats yourself. Bats are a species which you wouldn't expect to come into conflict with fisherman. However, fly fishing does catch more than just fish! Several bats will chase the dart of fishing flies being cast. In addition, rods and line being left standing up against walls and posts have been known to catch bats. Discarded flies caught in branches is also a serious hazard just waiting for a bat to pass. Those managing fishing lakes could easily avoid this situation arising by cutting back vegetation where fishing flies could become caught up. The following links take you to the Bat Conservation Trust's website. Discovered a Bat whilst building?